Prepare for the Worst! Natural Disasters, emergencies, death or injury don't have to destroy the business you've worked so hard to create! This handout provides for examples of force majeure clauses, details the basics of how each entity handles the death of a business owner and provides a planning checklist for natural disasters and emergencies and another for preparing for the death or serious injury to a principal employee or shareholder. 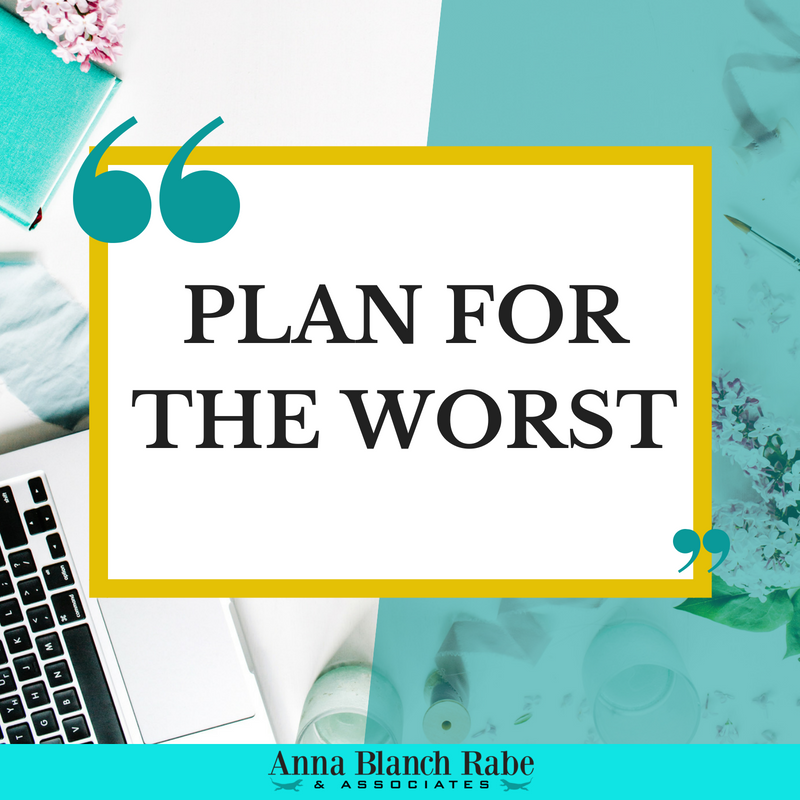 Download the Handout from Anna's Webinar on "Preparing for the Worst"
By requesting to download this handout, you are also agreeign to also receive very occasional emails letting you know about future webinars and legal resources! Success! Now check your email to confirm your email so that we can send you to the handout download. © Copyright 2019 Anna Blanch Rabe & Associates. All rights reserved.